The next chapter of The X-Files is a thrilling 10-episode instalment of the classic, mind-bending series. David Duchovny and Gillian Anderson return as iconic FBI agents Fox Mulder and Dana Scully for The X-Files Season 11 available on Blu-ray and DVD on 23rd July. 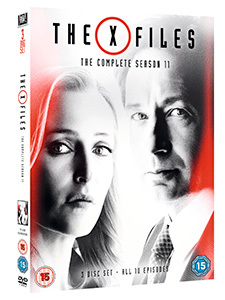 The X-Files Season 11 is available now on Blu-ray and DVD. The competition closes at 23.59 (GMT) on Sunday 29th July 2018.